Hobart Hurricanes have already qualified for the semifinal, after an off day against sixers, they have bounced back strong against Heat to claim 9 wicket win. On the other hand, Adelaide Strikers are torturing at the bottom of the table as they have lost back to back 5 matches. With a handful of matches remaining they will be hoping to win every match from here on. Expecting a cracker of a game at Aurora Stadium, Launceston on 31st January. Adelaide has made some changes in their squad, out of form Matthew short has been omitted from the squad and Harry Nielsen has been recalled. Peter Siddle is also unavailable due to national duty and should be replaced by O’Connor or Wes Agar. The opposition has been able to pick Rashid Khan due to which they have not been able to break the partnership. Their Alex Carey and Jake Weatherald need to take responsibility in order to win the match against strong Hurricanes. After a strong win against Brisbane Heat, no changes are expected from the table-toppers. Riley Meredith will be out for this game due to illness and has been replaced by Tom Rogers in the side, although he should just serve as back up for Moody. Jofra Archer is back in some form which is a great sign for them. 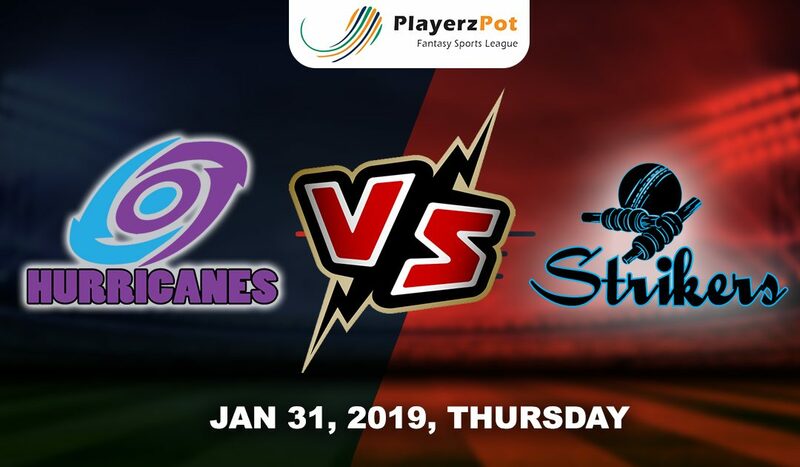 Hobart Hurricanes will win this match as they are the most consistent team of the tournament.